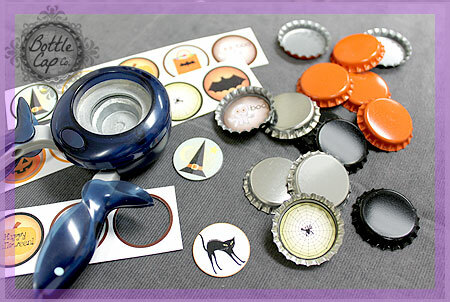 Learn how to make Super Jumbo Bottle Cap Photo Magnets. 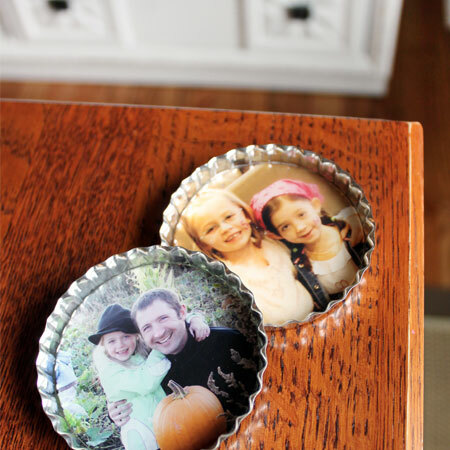 Lots of bottle cap craft photos and ideas to get you inspired this fall season! Looking for some great DIY Christmas crafts and gift ideas? We've got lots of finished product ideas to help you get a jump start on all your Christmas crafting! 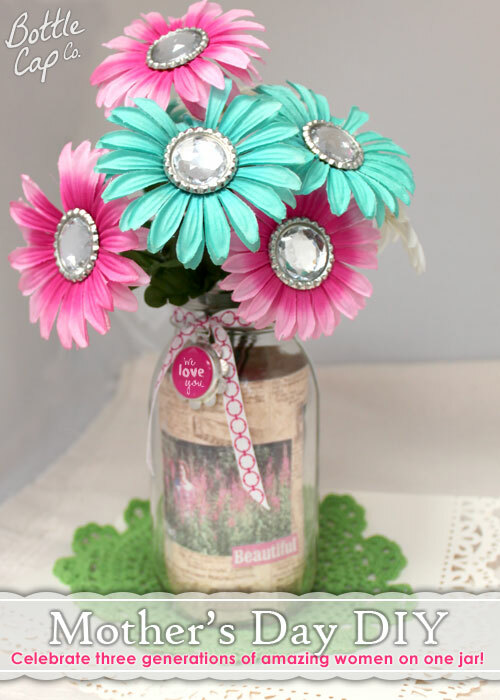 DIY Oversize Bottle Cap Christmas Ornament ideas and inspiration. 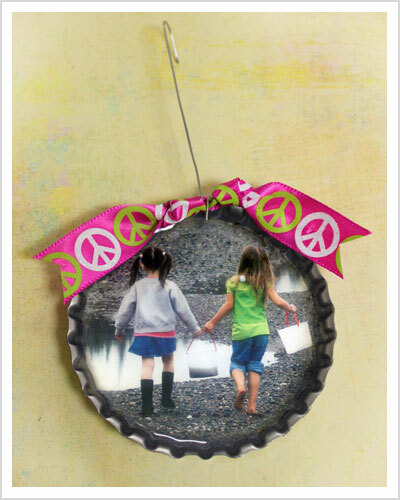 Lots of photos and tips included in this DIY crafty Christmas ornament article! 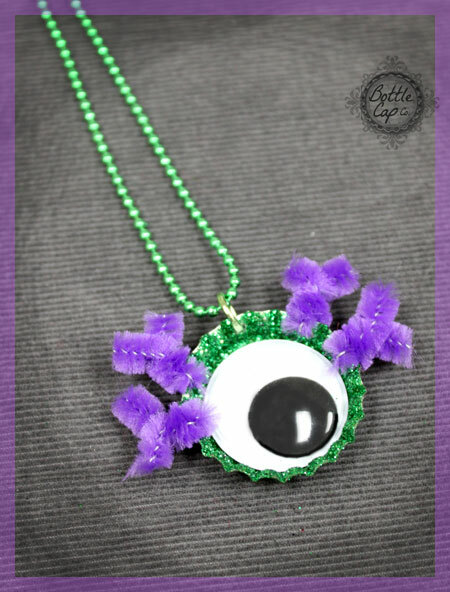 Googly eye DIY Halloween necklaces are easy and fun! 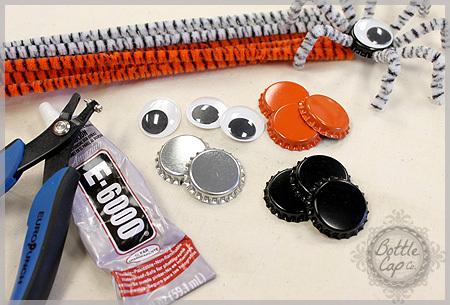 There are endless friendly, spooky characters that can easily be made with a bottle cap, googly eyes and pipe cleaners. Learn how in this step-by-step photo how to guide! 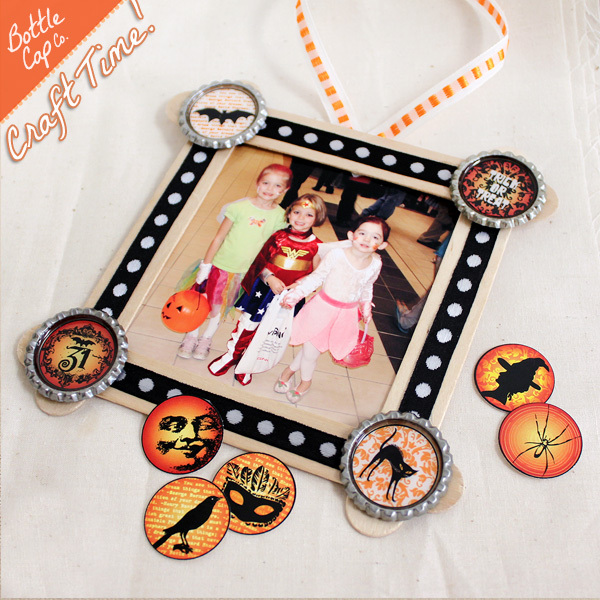 If you're looking for a fun and new craft idea for your kids for Halloween, look no further! Here is a list of supplies needed to make some really fun Halloween themed necklaces just for kids! 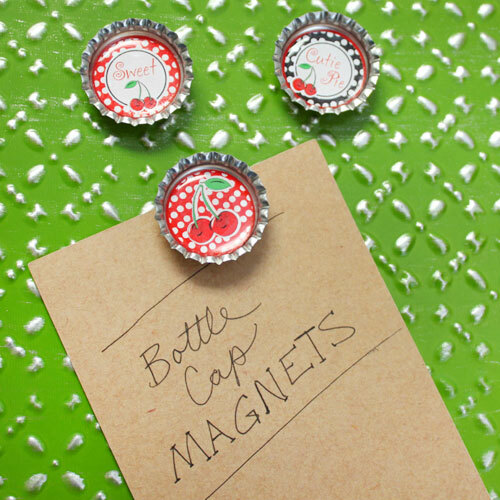 Easy Bottle Cap Magnets! Here's a simple DIY blog with lots of photos to inspire your creative fridge magnet making! 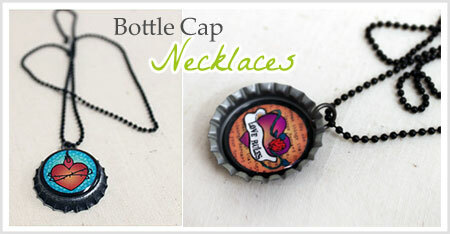 Learn how to make bottle cap necklaces. 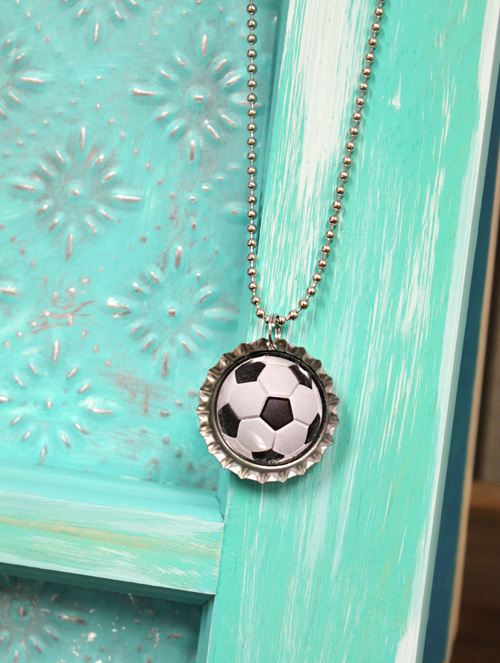 These personalized custom necklaces are perfect for all kinds of sports, events, parties, gifts and fundraisers! Here is a super simple step by step photo blog. Are you in the Christmas spirit? Look no further!! 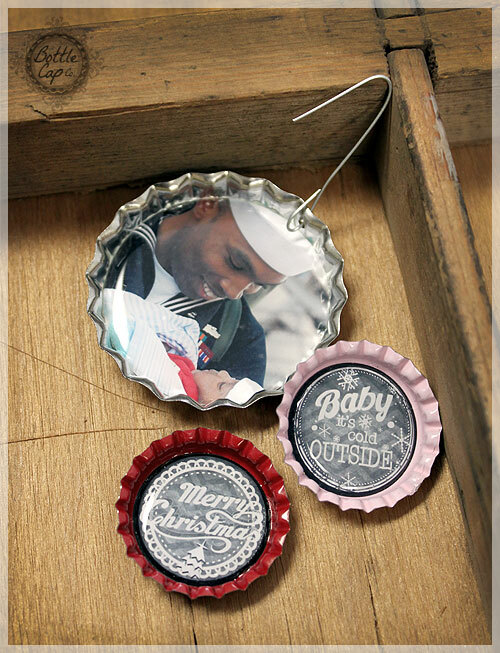 This blog is full of awesome bottle cap Christmas ornament craft ideas! 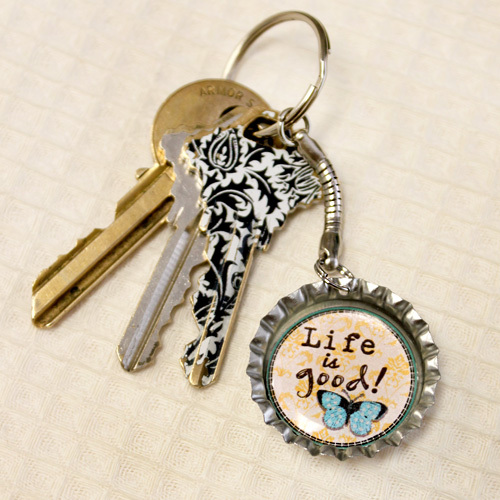 Learn how to make bottle cap key chains! This simple idea can be used for all kinds of cause awareness, fundraising and fun. Customize the image inside with whatever works best for you! Ideas, Ideas, Ideas! Share 'em, Pin 'em, Post 'em! Create a fun project for your home with just a few items! 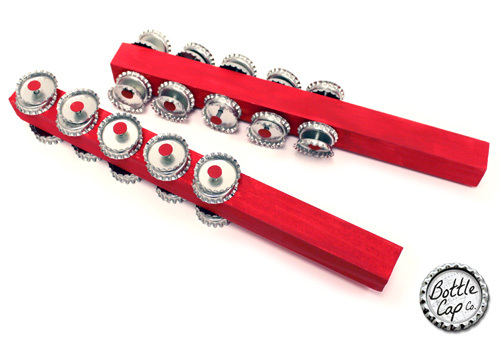 Learn how to make this easy, fun bottle cap shaker instrument! 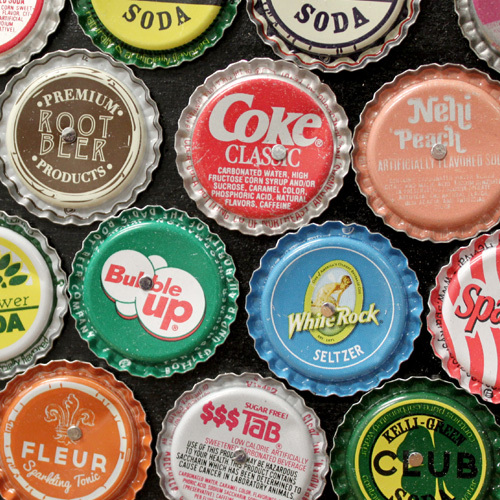 Here's a photo list of all kinds of vintage bottle cap crafts, accessories and jewelry. A simple, beautiful, personalized Mother's Day Gift Idea to honor and cheer the mom, grandma or mother figure in your life. 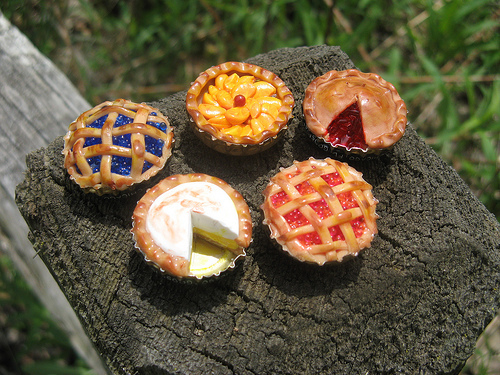 Creative craft and jewelry ideas from our wonderful customers. 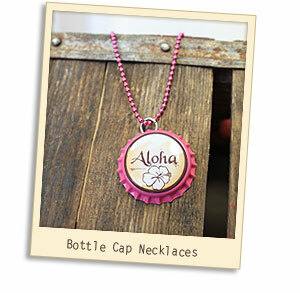 Learn how to make your very own bottle cap necklace with this bottle cap necklace photo tutorial. 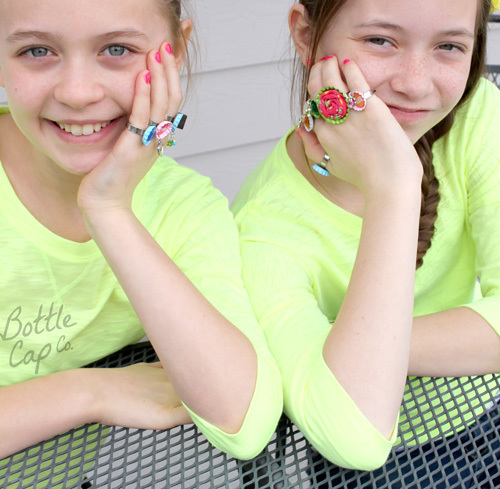 Bottle cap jewelry is fun and funky and has so many possibilities! This article sticks to the basics with some inspirational photos added at the end. Just the basics!! 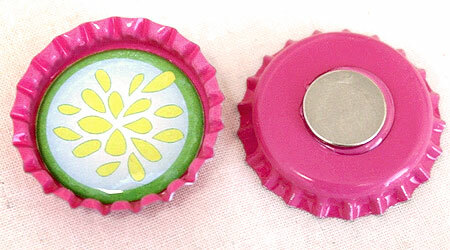 Lots of photos and information to fill you in on the basics of bottle cap crafting! 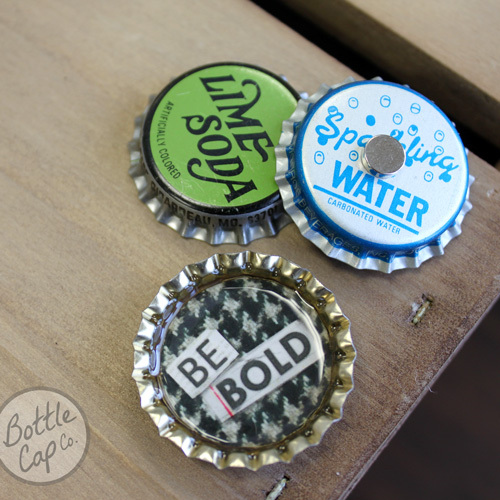 Bottle Cap Magnets are simple and fun to make! 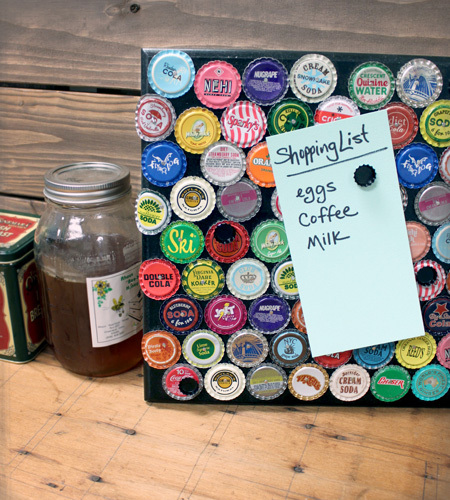 Create a unique and thoughtful handmade gift for a friend or make them for your own fridge. Get creative, express yourself, have fun!! 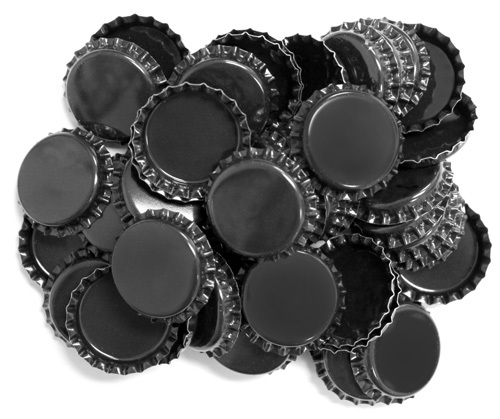 Find out what's so great about our new two sided black bottle caps! 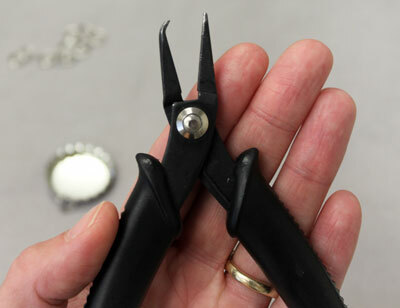 Become an expert at using a split ring tool! Check out this short photo tutorial. 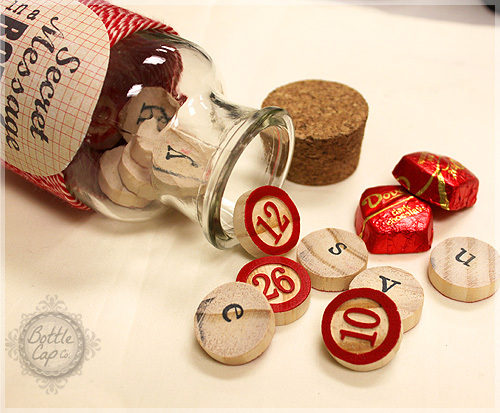 Secret Message in a Bottle Craft: Here's a super creative way to use inexpensive Wood Bingo Chips to create a handmade Valentine's Day gift! 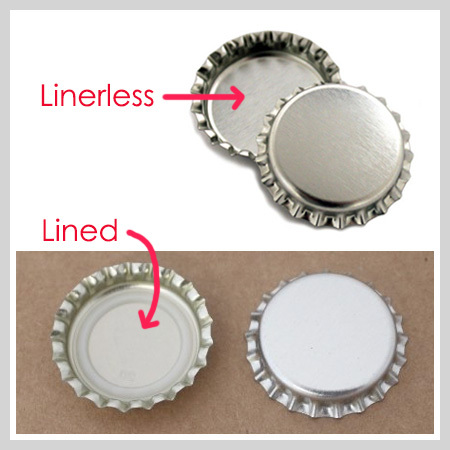 Linerless chrome bottle cap info and product specs just in case you need them :0) Video spotlight included! 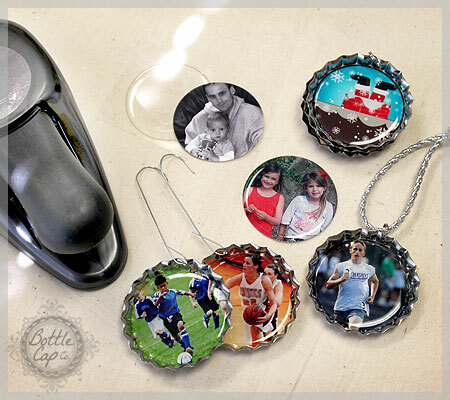 Bottle Cap Rings for your next party craft!